The Lockey Super 8 series adds a new dimension to the usages of the Lockey Digital range. 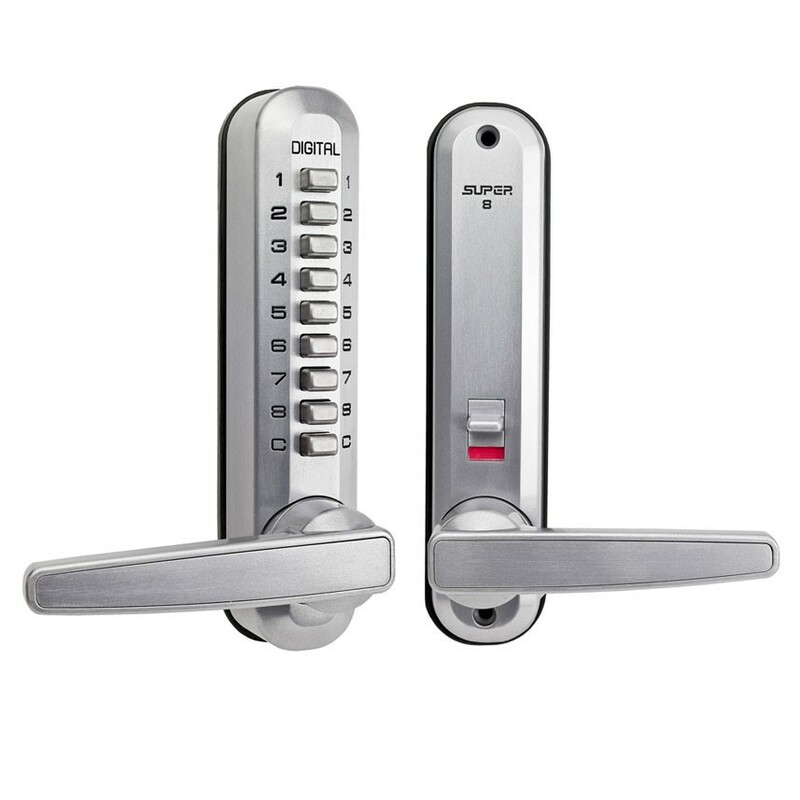 This versatile digital lock is not only suitable for standard doors, measuring only 40mm wide it’s slim design is perfect for narrow stile doors. They can be utilised ‘for example’ with new or existing internal panic hardware and wooden, UPVC & aluminium sash locks when supplied with our choice of square bar spindles.